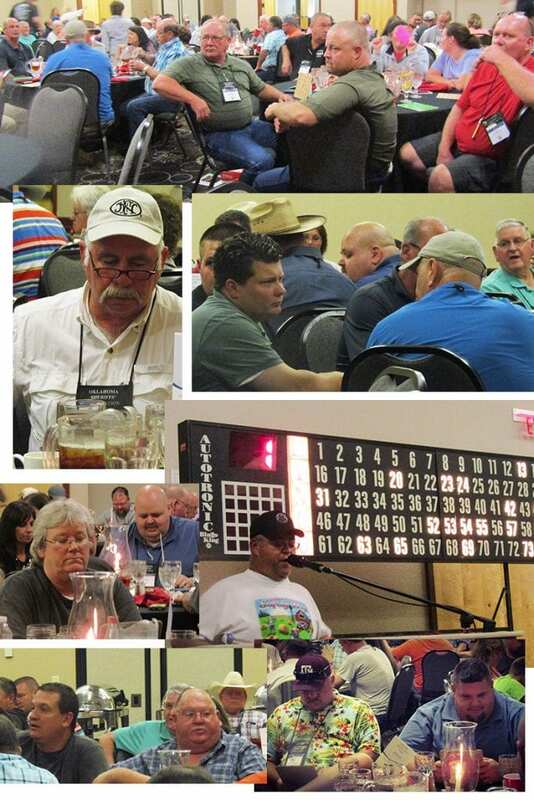 On August 10th, 2017, the Oklahoma Sheriffs’ Association hosted Sheriff’s Appreciation Night during the 2017 OSA Conference at the Reed Conference Center in Midwest City. The evening consisted of a delicious barbecue buffet dinner, socializing, and many rounds of Bingo played until the late hours of the evening. The OSA and counties all across the state donated door prizes to be given away to the winners. This year, our county donors outdid themselves and our prizes consisted of brand new TVs, gifts cards worth up to $500, vacation stays, rounds of golf, firearms, and we even gave away two diamond rings! The event was sponsored by Prodigy Solutions (Gold Sponsor), Coalition Against Bigger Trucks (Silver Sponsor), and Turn Key Health Clinics (Silver Sponsor). This entry was posted on Friday, August 18th, 2017 at 1:02 pm and is filed under Uncategorized . You can follow any responses to this entry through the RSS 2.0 feed. Both comments and pings are currently closed.